Like the black answer to Donny Deutsch, host of The Big Idea on CNBC, Richelle Shaw wants to help aspiring millionaires achieve their dreams. And she speaks from experience, having built, not one, but two very successful companies. Ms. Shaw, the only African-American female public utility owner in the U.S., moved to Nevada in 1993 after graduating from UCLA. In Las Vegas, she purchased a telephone company called Colorado River Communications, building its revenues from $300,000 to $36,000,000. Unfortunately, complications caused by the events of the 9/11 terrorist attacks led to her having to declare bankruptcy. However, the story has a happy ending, since she was able to rebuild the business in less than a year. 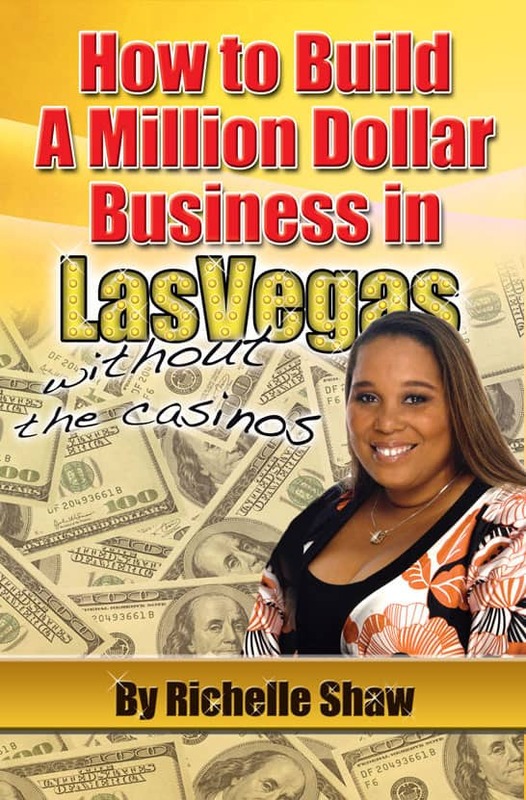 How to Build a Million Dollar Business in Las Vegas – Without the Casinos is part memoir, part how-to book, for it recounts Richelle’s amazing feat before laying out an approach that any budding entrepreneur can apply to his or her own start-up. The author’s key principles are what she refers to as the Three R’s: Reactivate, Retain and Referrals, concepts which she breaks down in some detail. Overall, Ms. Shaw’s fervent belief is that anyone can repeat her financial achievements provided they are willing to do their homework before assuming a minimized risk of failure. But she doesn’t expect you to rely on her advice alone, since the book also features telling one-on-one interviews with a half-dozen other self-made millionaires. Plenty of pearls of wisdom for the innovator eager to bring a novel product or service to market.